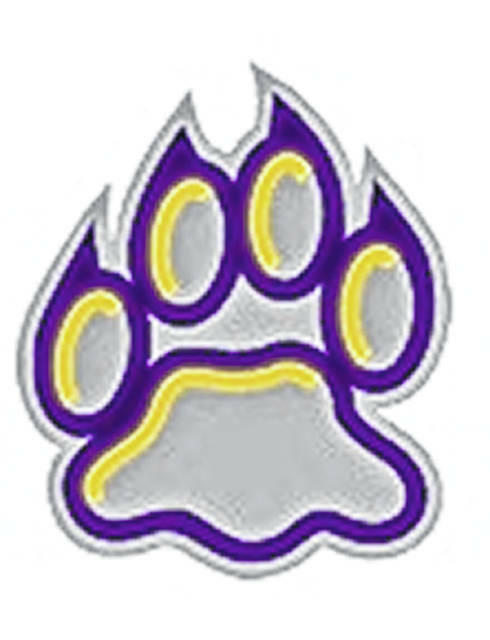 EBER—The McClain wrestling team entered the State Duals Regional Tournament on Saturday as the number 4 seed. The regional champion was decided in one day, which is a change from previous years. One team emerged and will represent Division 2 Region 14 at the State Tournament. The Regional Tournament was held at the new Miami Trace High School. This was the inaugural athletic event held in the gym. In round one, as the 4 seed, the Tigers drew Vinton County who entered the tournament as the number 13 seed. McClain recently wrestled Vinton County in a dual at Jackson High School. That match ended with McClain coming out on top 48-24. The Tigers never got to open up their claws this time at Miami Trace High School, because Vinton County dropped out of the regional tournament late Friday night, thus giving McClain, by rule, a 1-0 victory. Advancing to the quarterfinals, McClain faced off with another familiar foe. Logan Elm entered the tournament as the number 5 seed. McClain also defeated Logan Elm earlier in the year in a dual at McClain High School. In the regular season match, the Tigers came out on top 46-30. Logan Elm advanced to the quarterfinals by defeating Zane Trace 58-9. They also scored a lopsided victory over the Tigers 56-16 to advance to the regional final four as they did last year. Logan Elm lost in the final four to Miami Trace, who would lose in the final round to undefeated London. London will represent the region at the State Tournament. McClain filled 10 of 14 weight classes, and 3 of the 10 wrestlers got their hands raised in victory. Dawson Jansen (132), Phil Waters (182), and Kade Rawlins (220) added another victory to their yearly total. McClain reached double digits in wins again this year and are currently 10-2. They will be back in action on Wednesday, February 6 at Huber Heights Wayne High School in a double dual. Joining McClain and Wayne will be Covington and Trotwood-Madison. Each team will get two matches, traditionally the two winners of round one face each other in round two and vise versa for the losers of round one.